CSA, or Community Supported Agriculture connects the local community with a local farm. It’s a system of pre-selling regular purchases of farm products with a predetermined value. The products you receive in your CSA are then determined by seasonal availability. This CSA has a 15-week season, starting early June and ending in September. - Members receive a variety of vegetables as they become available, with the largest volume usually available mid-season. - Members receive a weekly newsletter with farm happenings, storage and preparation tips, recipes, and “Food for Thought” – a short challenge from God’s word. - Perks include additional orders being filled first and first chance at buying vegetables wholesale for canning or freezing. - This package allows you to choose which types of produce you want! For an example of some of our 2016 weeks, click here. - All members may not receive the same veggies; we’d rather give customers an adequate amount of what’s growing each week rather than a small amount of everything. - There are factors outside our control, like pests and weather, that may impact the season, but we have taken steps to minimize the risk for our customers. - You can take them all at once or have them spread across the period. 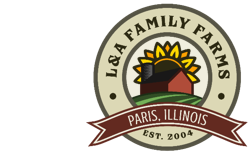 - Members receive either 1 or 2 dozen of pasture-raised eggs weekly or bi-weekly. - Members can also receive 1 package of ground beef patties bi-weekly. We are exploring possibilities of getting our CSA products to our customers, depending on what the majority want. We prefer customers come to the farm for their weekly share(s), but we understand busy schedules may prevent this, so we offer deliveries at an additional charge. Final decisions on pick-up and delivery days will be made closer to the start of each season once we know how many customers we have and where they are located. We’re always looking for individuals or businesses to host a drop site where we can deliver products to multiple members at a centralized location! - Products will be already packaged and ready to go! - Products will be brought to your home, business, jobsite, or a centralized location. - Chicken, egg, and ground beef CSA shares can be delivered to a farmers’ market location at no additional charge. Vegetable CSA members will receive two baskets for their produce. Depending on how you get your CSA, either bring your empty basket to the farm or leave it for us to pick up while making deliveries. This allows us to rotate the baskets throughout the season. If you have a chicken, egg, or ground beef CSA delivered, please leave a small cooler so we can put your items in it. If you’re ready to sign-up for one or more of our CSA packages and receive fresh, quality farm products for 15 weeks, you can click “Member Sign-Up” under the CSA tab above or click below. Click the icon above to discover local businesses that carry or use our products!